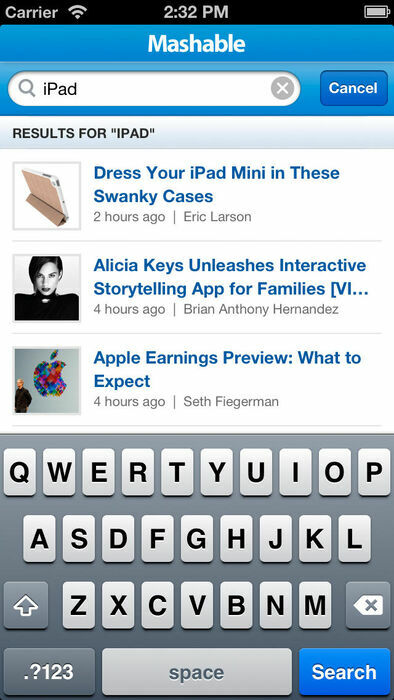 The official Mashable iPhone/iPod Touch application delivers the latest coverage from Mashable.com. Mashable is the largest independent news source dedicated to covering digital culture, social media and technology. Mashable reports on the importance of digital innovation and how it empowers and inspires people around the world. To turn-off Push Notifications, simply tap the info button within the top navigation bar of the app. Then tap "settings" and there you can turn on and off Push Notifications.